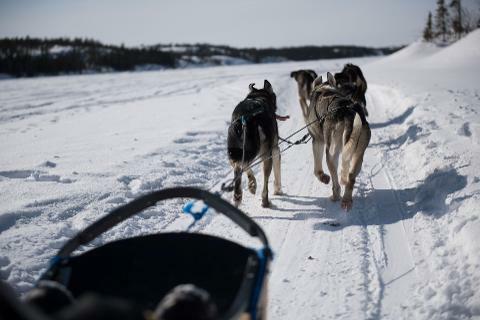 Sled through frozen lakes and trails with the fastest sled-dogs in the north and the defending champions of the Canadian Dog Derby. You don't want to miss this thrilling ride-of-a-lifetime. These intelligent dogs know the way and love to sled fast on a cold arctic winter day. Make sure you bring your GoPro camera to capture the best moments on your dog sledding adventure. 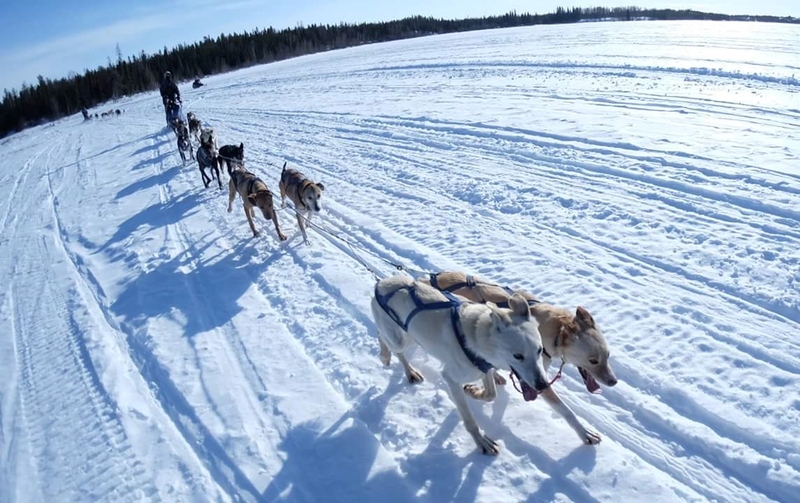 After hotel pickup, your tour starts at a dog sledding location, where your professional dog musher will instruct and guide you through all the safety features for udrive dog-sledding tour only. On traditional dog-sledding no safety briefing required as your experienced dog musher will guide the dog team. Following the guide instruction, sit back and enjoy the ride! Your dog-sled adventure begins at the kennels. 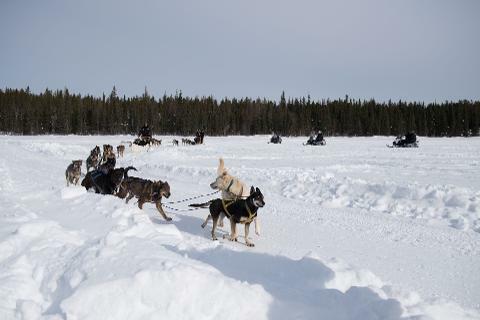 As your sled-dogs sled through the frozen lake, they'll pick up speed through the trails before returning to the kennels. After an eight kilometer sledding loop, your driver/guide will drive you back to the hotel. Hot chocolate, coffee and tea are available if you wish to warm up after an adrenaline chilling ride. Note:- Actual tour time subject to confirmation by email before arrival.